Farming society from Bronte specialized in pistachio products. For more than 10 years, the “La Valle del Pistacchio di Bronte” farm produces food products made from pistachio as pistachio pesto, pistachio dessert cream and pistachio-finished products. The pistachio is a delicious fruit characterized by great beneficial properties. It the main ingredient of “La Valle del Pistacchio di Bronte” products. Our products are made with natural pistachio and they can be used as ingredients in your recipes as a tasty snack enjoying the intense and unique flavor. Have you tasted of our delicate pistachio cream? A little goodness that you cannot immediately resist. And our pistachio pesto? Ideal for pasta or to prepare appetizing starters. Try also our pistachio flour and grain in your recipes to preparedeliciousmeals. We invite you to visit our product catalogue and if you’re interested, we’re happy to answer all your questions and get you set up. Simply contact us using the references you can find in the contact section. La Valle del Pistacchio: the authentic pistachio products for the pleasure of a unique experience. The great gastronomy knows no boundaries. “La Valle del Pistacchio di Bronte”w as born in 2007 in the Sicilian town of Bronte, situated on the slopes of Mount Etna. Although thecultivation includes Almonds and Olives, the mainproduction is the pistachio, the precious fruit grows on the Etna’s lava lands, with its unique and unmistakable organoleptic characteristics. 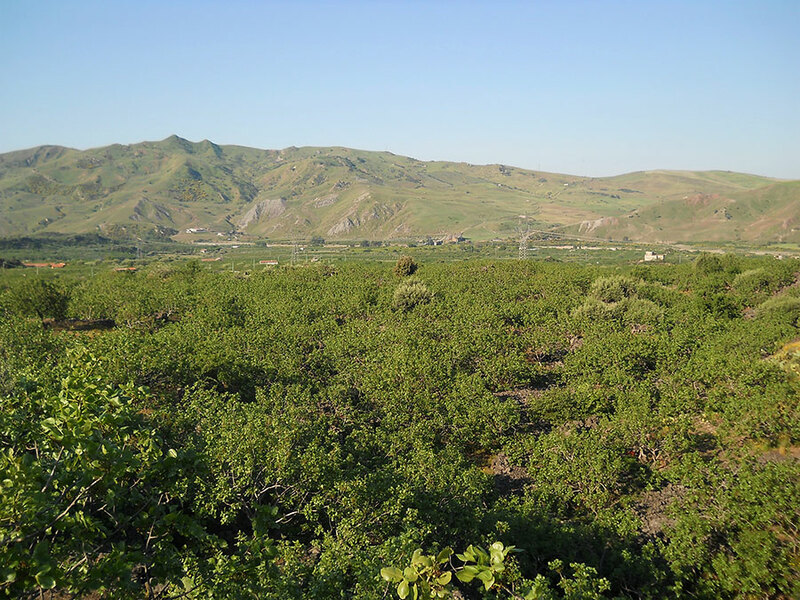 IThe pistachio is harvested in September / October with biennial cadence. Right after the crop the pistachio is dried and then stored. The fruit is carefully selected in order to ensure the highest quality and food safety. We know our customers and their needs and we satisfy their tastes thanks to the creation of various type of products.Our selected pistachio is also transformed infinished productssuch pistachio pesto, creams, and semi-processed pistachio.